Karl Rahner was born in Freiburg im Breisgau, Germany, on March 5, 1904. He died in Innsbruck, Austria, on March 30, 1984. Rahner’s creative appropriation of diverse theological and philosophical sources (including Ignatian spirituality, Thomas Aquinas, Kant, Hegel, Maréchal, Rousselot, and Heidegger) provided an innovative conceptual framework for retrieving Catholic doctrine and the neo-scholastic theology of the previous generation and established his reputation as one of the most influential systematic theologians in the Vatican II era. His probing essays responded to the broad range of topics most at issue for Catholics from the 1940′s to 80′s. The earliest of these helped prepare for the Council. The later ones provided rich resources for both academic and pastoral theology. He was influential in German-speaking countries through his teaching, lectures, editorial labors and membership in learned societies. His thought had broader impact because of his involvement in international publications like Concilium, his role as a peritus at the Second Vatican Council, the extensive dissemination of his work (1651 publications, 4744 counting reprints and translations), his impact on the foreign students who attended his classes and later became influential in their own countries, and the positive reception of his contributions by many Protestant thinkers. In the English speaking world, for example, George Lindbeck, a Lutheran, ranked him with Barth and Tillich; John Macquarie, an Anglican, added that of these Rahner’s theology was the most helpful. At the heart of Rahner’s thought is a coherent vision of the world as the profoundly mysterious arena of God’s self-communication in Jesus and the Spirit. Rahner, however, never elaborated this as a systematic theology worked out in progressive volumes. The philosophical underpinnings were presented in his first two books: Spirit in the World and Hearer of the Word. The details of the theological scheme emerged over the years in lectures, talks and articles, the most important of which were published in his Theological Investigations (23 vols.). Despite their erudition and nuance, these reflections were not primarily concerned with contributing to specialized theological scholarship, although many certainly did that. Most had a broadly pastoral concern to explore ways of recovering the meaning of Christian doctrine and Catholic teaching in an intellectually plausible and contemporary idiom. This was the case in early reflections which focused on the preoccupations of Catholic dogmatic teaching and piety, in later essays contributing to issues which were being raised at Vatican II regarding the nature of the Church and its relation to the modern world, and in the publications of his last years which wrestled with pluralism, the historicity of the Church and theology, ecumenism and the notion of a “world church” no longer dominated by Western culture and peoples. Although Rahner’s “transcendental Thomism” provided the philosophical categories for fleshing out this understanding, his positions were deeply rooted in the Ignatian spirituality of seeking God in all things, sacramental piety, devotion to Jesus, and Catholic doctrine. He distilled essential elements of this vision in Foundations of Christian Faith, his attempt to offer a “first level” account that would be accessible to readers without specialized theological training. Notwithstanding the pastoral thrust of these works, the style of writing and argument makes for notoriously demanding reading. Rahner was much more successful in articulating his theological vision without the difficult conceptual apparatus in his sermons, prayers, meditations and numerous interviews, particularly those which he gave towards the end of his career. The most important of these have been collected in: Prayers for a Lifetime, Karl Rahner in Dialogue, Faith in a Wintry Season, and I Remember. As a doctoral candidate, Rahner worked out the basic lines of his philosophical perspective in a metaphysical reflection on the possibility of knowing God. This groundbreaking retrieval of Thomas Aquinas in light of modern philosophical currents (particularly, Kant and Heidegger) was rejected by his dissertation director but published in 1939 as Geist in Welt. Rahner argued that we can know of God by attending to the movement of our knowing itself towards its objects. Reflection on this reveals that our thinking always reaches beyond its immediate objects towards a further horizon. Hence, the movement of our knowing, and the ultimate goal towards which it reaches, can be grasped only indirectly (or “transcendentally”) as our thinking turns back on itself. Rahner identified the elusive and final “term” of this dynamism with God and contended that the same movement towards God is entailed in freedom and love. By conceiving God, who always exceeds our reach, as the horizon presupposed in the movement of knowing, freedom and love, Rahner provided a way for talking and thinking about God as “mysterious,” that is to say, as a reality who is known, but only reflexively and indirectly—and perhaps not even consciously—as the ever receding horizon of the human spirit. For Rahner, we are “spirits” (oriented and able to know God) only through our being “in the world.” Conversely, as humans, we are in the world in a spiritual way—in a way that either is moving towards and affirming God, or is denying and closing itself to God. Knowledge of God always has a distinctly analogical character and logic because it necessarily entails reference to God as mystery while at the same time this reference is mediated through an unavoidable “turning” to objectifiable realities. In Hearer of the Word, originally lectures given at Salzburg in the summer of 1937, Rahner developed his “transcendental arguments” further to explain why God must be thought of as personal, even though not a finite person, and as one whose self could be revealed further in the human realm of history and language if God so chose. As the ones who either encounter or miss this possible self-revelation, we are hearers of either God’s “word” or silence. Subsequent reflections on the theology of symbol and the doctrine of the Incarnation, which drew creatively from sacramental, Trinitarian, Thomistic and Ignatian themes, provided Rahner with a way of explaining how we might conceive God speaking such a “word.” A person’s words of love do more than tell about a relationship to another. Genuine expressions of love, though in a certain sense distinct realities from the person who offers them, are nevertheless also truly self-communications to the beloved. Rahner’s notion of Jesus as God’s “realsymbol” proposed this sort of analogy for conceiving how Jesus’ very humanity could be God’s self-expression in history and how the Church and sacraments could mediate that event to subsequent generations. This paradigm also helped Rahner explain an essential feature of the symbolic like causality involved in God’s relationship with the world. Self-expressions between persons have a history. The communication of one to another in love, begins before it is fully and explicitly expressed. Love causes the gestures towards the other, even though the love is not fully concretized until it is expressed in those words or deeds. Rahner suggests that in a similar way, God’s self-communication (uncreated grace) is operative in human history from the moment of creation through the work of the Holy Spirit even though it is only in Jesus’s life and death on the cross that the grounds for this possibility are definitively and explicitly concretized in history. Early in his career Rahner suggested that this dynamic could be thought of as giving a kind of supernatural possibility (or “existential”) to human existence; this would preserve the distinction between grace and nature while also accounting for humankind’s openness for God. This emphasis on “uncreated grace,” a revolutionary move in Catholic theology at the time, would also open groundbreaking possibilities for ecumenical dialogue with Lutherans and Orthodox Christians. Further refinements of this paradigm enabled Rahner to elaborate his seminal vision of humanity, and even of creation itself, as mediums of God’s loving and absolutely free revelation and gift of self. This distinctly incarnational (and in later works more clearly pneumatological) center of gravity guided his subtle explorations of the dialectic at the heart of so many crucial theological issues and grounded his innovative and sometimes controversial proposals for understanding the relationships between: faith and reason, theology and anthropology, the immanent and economic Trinity, ascending and descending Christology, transcendental and historical revelation, love of neighbor and love of God, unchangeable and changeable truths of faith, and unity and pluralism in the Church. God, so conceived in Rahner’s theological investigations, is not one being among others, but the holy mystery and fullness of all that it is “to be” who is revealed in Jesus and operative in history through the Holy Spirit. Given the interconnectedness of human history and God’s participation in it through Jesus and the Spirit, something of God, this ineffable and Trinitarian fullness of Being-as-such, is anticipated whenever we know, choose or love a specific being, particularly our neighbor in need. Conversely, God is rejected to some extent in every refusal of truth, freedom and love. In these cases, since the affirmation or denial is of a particular being and not necessarily directly cognizant of God or Jesus, it is quite possible that the true nature of the “fundamental option” implicitly taken toward God’s self-communication (at the tacit or transcendental level) might be hidden or even denied (at the explicit or categorical level) by the person taking it. In either case, however, a stance towards God and Jesus is taken in the turning of a person’s mind and heart towards realities of the world. Rahner suggested that a fundamentally affirmative option could be characterized as a kind of “anonymous Christianity,” although he admitted that the phrase itself could be misunderstood. In later works he explored the notion of a “searching Christology” — a Christology “from below” which offered a more historically immanent explanation for the Catholic confession of God’s universal salvific will. 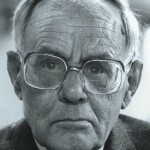 There is an immense body of secondary literature either directly assessing Rahner’s significance, responding to the more controversial proposals or constructively attempting to exploit his insights. The bibliography maintained at Professor Albert Raffelt’s Freiburg web site numbered 2074 citations in July 1998.